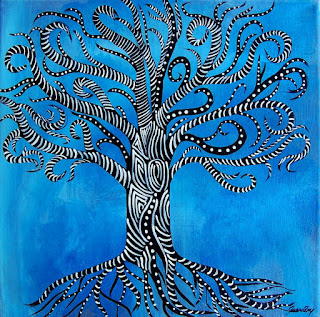 I have created many versions of the Tree of Life over the years, and keep going back to it again and again in my painting. 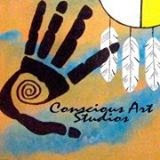 It's importance to me in my art has been strong because it's philosophy represents the connectedness of all living things, and that we are all related. 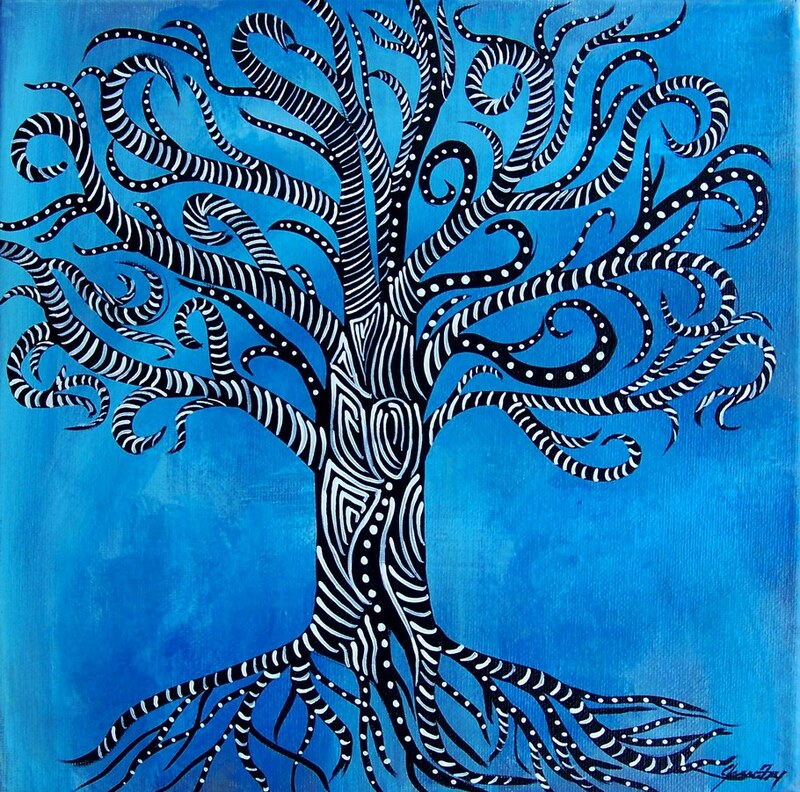 The Tree of Life has had symbolism in many cultures and religions; Norse mythology, India, Judaism,Turkic Mythology,Buddhism, Baha'i Faith, Chinese mythology, Christianity, and Egyptian culture. 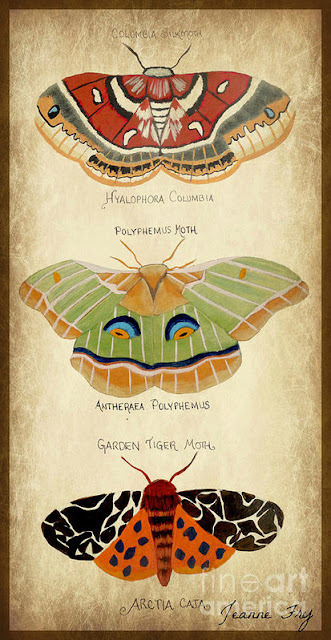 It represents our human connection with the physical world of nature, the connection of the heavens and the underworld, the connection of good and evil, and the cycle of life. It's vast symbolism encompassed in the Tree is simple yet complex. My attraction reminds me always, that there is something bigger than myself, a complex woven system that ties us all together. These are beautiful!! I met you this weekend at the Art on Main and I am glad I did your art is very touching. Thanks for sharing!